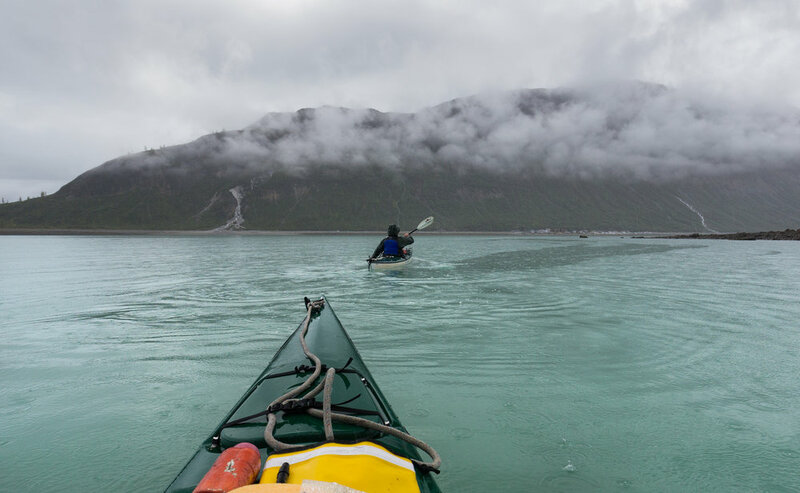 Paddling through the pristine waters of Glacier Bay National Park in southeastern Alaska is one of those adventures that remain on your bucket list even after you complete it because it's so beautiful and so special that one visit could never possibly be enough. Nothing I've ever experienced has come close to matching Glacier Bay's grandness: Mountains, glaciers, majestic wildlife, milky blue waters, and solitude. Are permits required? Yes. They cost $0 and you cannot reserve them ahead of time. The day before your trip you report to the ranger station to attend one of their 3 scheduled backcountry orientations. They occur each day at 11am, 3pm, and 5pm. 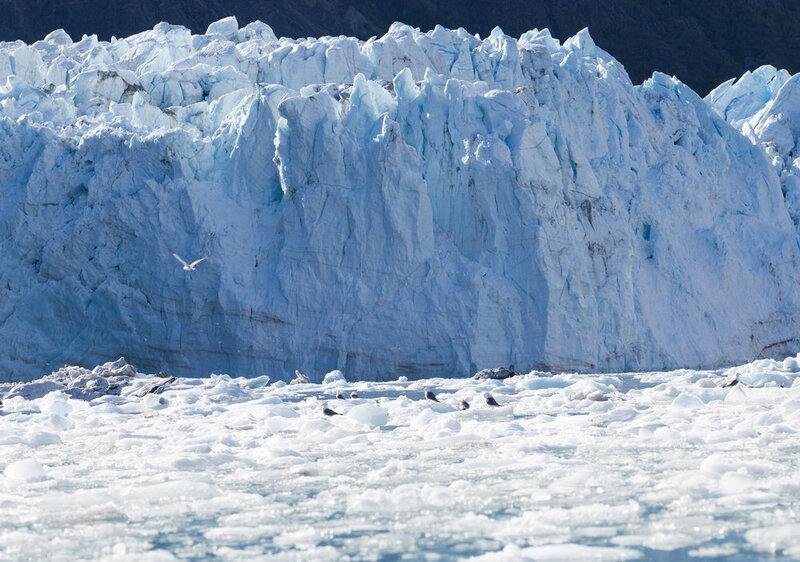 In these orientations you will go over your itinerary and talk about the rules and regulations specific to Glacier Bay. How to get to Glacier Bay: Simply getting to the park is the one of the biggest obstacles of this adventure. Glacier Bay can only be accessed by plane or boat and then getting to the West Arm requires an additional boat ride. Your first step to getting to Glacier Bay is flying into Juneau, AK (Alaska and Delta are the airlines that service this airport). From Juneau you have 2 options for transportation to the park headquarters in Gustavus: Ferry or plane. PLANE: We flew on Alaska Seaplanes and the flight cost $240/person round-trip. In the reservation form, select Departing From: Juneau, and Travelling To: Gustavus. It's a quick 20 minute flight but it's beautiful. We saw whales, mountain goats, and moose on our flights! One thing to keep in mind is that you are limited to 50lbs per person of luggage. Additional weight will be charged at $0.60/lb. We were 20lbs heavy on our flight out but luckily ate most of that weight during our trip! FERRY: The ferry is the less expensive option ($96/person round-trip) but, at ~6 hours out and ~4.5 hours back, it's also the longer route. However, this is definitely the option to choose if you are going to be driving your own car or if you are bringing your own kayaks. You can book your trip on the Alaska Marine Highway System website. From their main navigation select: RESERVATIONS > Sailing Search. Fill out all the information. Departure City: Juneau/Auke Bay. Arrival City: Gustavus. Now you're in Gustavus but you aren't quite in the park yet! Bartlett Cove and the park headquarters are located about 10 miles from Gustavus. There are a few options for places to stay in the town of Gustavus but since you are going to be spending so much time at the park headquarters (backcountry orientation, kayak orientation, and loading the ferry at 7am the day you depart) I highly recommend staying at either the Glacier Bay Lodge or the free walk-in campground on the premises. If you are staying in the Glacier Bay Lodge (~$200/night) they will provide you a complimentary shuttle to and from the Gustavus Airport. If you are staying in the free walk-in campground you can schedule a ride with TLC Taxi (907-697-2239) for $15/person. After you arrive at the park, attend the backcountry orientation, and pick up your permit it is time to pick up your kayaks! 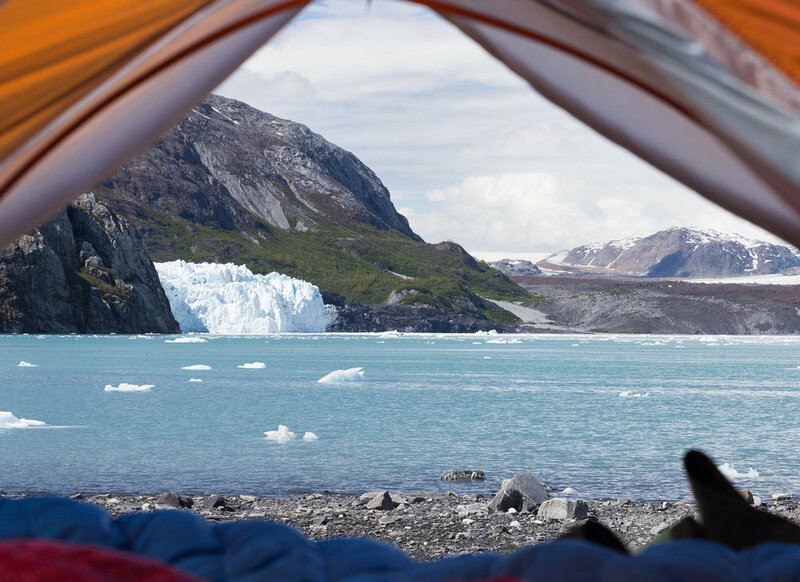 We rented our kayaks from Glacier Bay Sea Kayaks and they helped make the trip more seamless. In fact, they can take care of your plane tickets from Juneau to Gustavus, the boat taxi reservations, and even lodge reservations if you want! We reserved 2 single kayaks for $50/day each. Double kayaks are $65/day. Finally, you (or Glacier Bay Sea Kayaks) will make a reservation for your drop-off deep within Glacier Bay. You can make a reservation with Glacier Bay Lodge and Tours ($231/person round-trip, call 1-888-229-8687 to make a reservation as no online reservations for drop offs are accepted). The daily tour boat also acts as your taxi and will drop you off at either the West Arm or East Arm while giving you a full tour along the way! The specific drop off points change about halfway through the season. Make sure you check out the park website for the most up-to-date information. And now, finally, the real adventure begins! Scidmore Bay > Reid Inlet (Night 1) > Lamplugh Glacier (Night 2 and 3) > Tarr Inlet (Night 4) > Reid Inlet (Night 5) > Scidmore Bay. If you want to plan your own individual route I recommend purchasing this book. This book combined with the Nat Geo topo map are the main tools I used to plan this entire adventure. When to go: The park headquarters are open from Memorial Day weekend through Labor Day weekend. 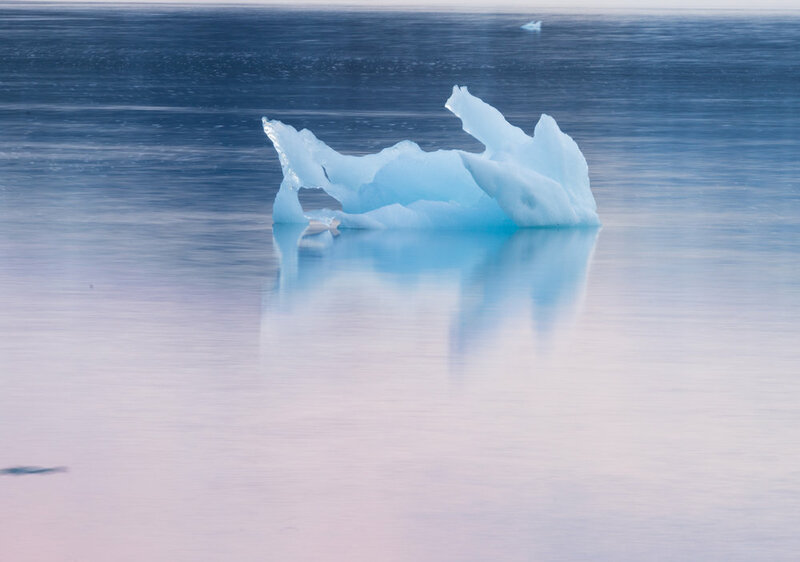 JOHNS HOPKINS INLET CLOSURE: Johns Hopkins Inlet is considered by many to be the crown jewel of Glacier Bay, however, until July 1 the inlet is closed to all vessels. This inlet is essentially a nursery for seal pups, and until July the pups haven't developed enough fat to allow them to enter the frigid water so they are kept safely on land. This means if a kayaker accidentally passes too close to a pup and it gets scared and slides into the water, it may die. We did not know about this rule when we initially booked the trip so we were bummed to learn we couldn't see this beautiful spot, but that's just more of a reason to return in the future! WILDERNESS: This route does not follow any trails/markings, nor are there designated campsites along the way. Glacier Bay is a pristine wilderness in all senses of the word. For the duration of our entire trip Alex and I ran into one other couple kayaking and one guided group who came ashore from their Uncruise boat to do a day hike. You must be entirely self-sufficient to do this route. I also recommend bringing a Garmin inReach or some sort of emergency beacon in case something goes wrong. BEARS: This is bear country! While Alex and I didn't see a bear during our trip we ran into another couple who said they saw at least one bear a day, so being comfortable around bears and knowing all the precautions to take to avoid a bear interaction is of utmost importance. We carried bear spray that we bought at the Glacier Bay Lodge (you can also check the gear cache at the park to see if there are any extra cans you can borrow). CRUISE SHIPS: Glacier Bay allows 2 cruise ships to enter Glacier Bay each day (for a mighty hefty price) and I honestly was more concerned about these cruise ships than bears. The cruise ships throw off a mean wake and create some huge swells. Additionally they might not even be able to see a kayak in the water so give them a very, very wide berth when you see them coming. TIDES: The tidal swings in Alaska are massive! The shoreline regularly lost 100' of land at high tide so make sure your camp is well above the high tide line or you'll be in for a rude awakening in the middle of the night. It is also extremely difficult to paddle against the tide, so study the tide chart the park provides you with and use the outgoing or incoming tide to your advantage! LAND: The Tlingit people called this area home for millennia. They knew it as a lush valley with a bountiful salmon supply that sustained their families for generations. However, as the glaciers encroached on their land they were forced to search out a new place to live. They moved to Huna. After the Little Ice Age passed the glaciers quickly retreated, leaving new and “unoccupied” land in their place. The United States government claimed it, despite the fact that the Tlingit knew it as their home and had planned to return. This has caused some tense relations between the Tlingit people and the US government. To me it’s important to know the history of the places I recreate on, to know that while this is currently named Glacier Bay National Park, it is also an entire people’s homeland and those people and their land deserve our utmost respect.